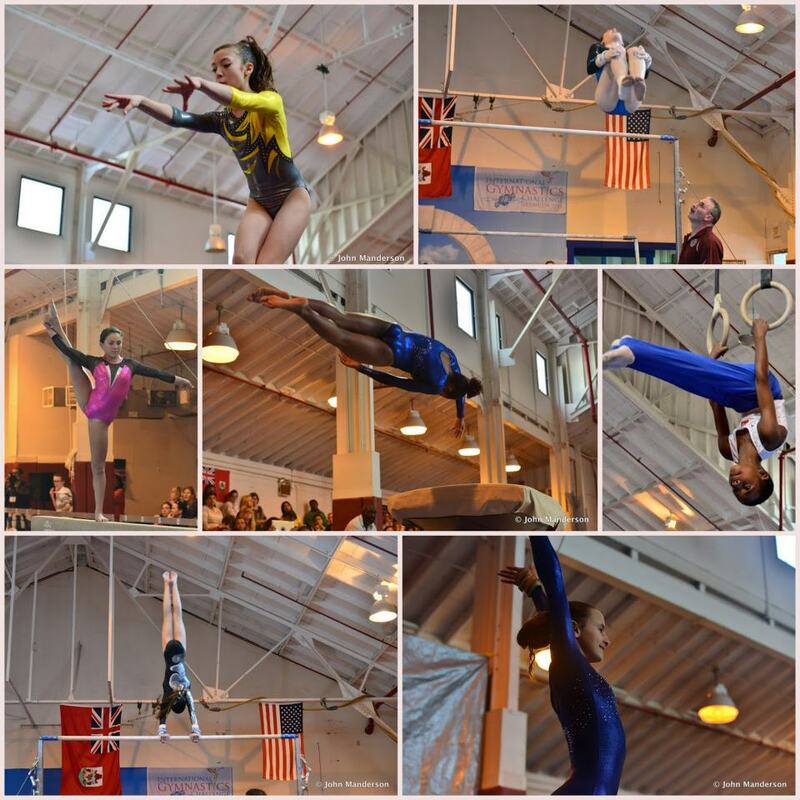 The 2013 International Gymnastics Challenge took place on Saturday [Jan 12], with Bermuda topping the team scores and winning numerous individual events. The participating teams were the Bermuda Gymnastics Association, Titans [Nova Scotia, Canada], Yellow Jackets [Massachusetts, USA], Gymnastics of York [Pennsylvania, USA], Flyers Gymnastics [New Jersey, USA], and Thompsons Gymnastics [Massachusetts, USA]. The morning session [Copper/Bronze/Silver levels] saw Bermuda top the tables with 109.20 points, the Titans second with 105.35, and the Yellow Jackets third with 104.30. The afternoon session [Gold/Platinum levels] saw Bermuda win again with 105.05 points, Gymnastics of York place second with 103.95, the Titans were third with 98.85, in fourth were the Yellow Jackets with points 97.80 and the Flyers were fifth in 97.65. Meet chairperson Georgina Francoeur said: “This year’s International Gymnastics Challenge was a huge success. It wouldn’t have been possible without the support of our sponsors, in particular the Department of Tourism. “Also a huge thank you must go out to our Bermuda Gymnastics family who prepared the gym and donated hours of their time to help us put on a seamless event. The gymnasts were thrilled to perform in front of over 500 fans and dignitaries and all of our visiting teams are looking forward to returning in 2014″. Bermuda’s Head coach Duke Nelligan says “It’s hard to believe that only ten months ago was our first International Challenge at the National Training Center in St. Davids. Once again athletes, parents, grandparents and dignitaries, came together for a common cause to build upon the success of last year’s meet. “Our athletes and program have grown so much; it’s amazing to think how great this event will become in future years. If the gymnastics community continues on this path, we should see an Olympian in our future”. Complete results are available here, 35 minutes of video footage of the event is available here, and a photo gallery can be viewed here.